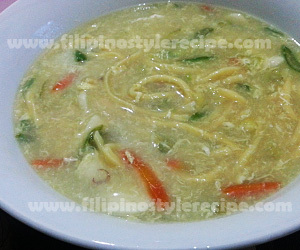 Filipino Style Recipe: Pansit Palabok with Squid is popular noodle dish in the Philippines. 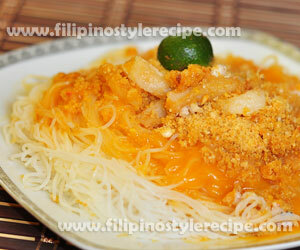 Pansit palabok is made of pansit bihon served palabok sauce made of shrimp juice, annatto water, flour and fish sauce. Topped with squid, tinapa flakes, sliced hard-boiled eggs, and chicharon. 2. Add squid, soy sauce and vinegar then stir cook over high heat until the sauce reduced. 3. Add oyster sauce then cook until almost dry. Set aside. 1. In a sauce pan, heat oil saute onion then add ground pork. Cook until brown. 2. Pour water, annato water, shrimp cube and dissolved cornstarch. Continue stirring until thicken. 3. Season with fish sauce and pepper according to taste. Keep warm and set aside. 1. Cook pasta according to package instruction. Drain and transfer to serving plate. 1. Pour the sauce on top then arrange squid over the sauce. 2. Sprinkle with ground chicharon, tinapa flakes and spring onions then serve with calamansi. 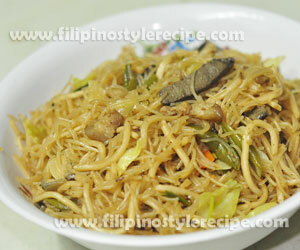 Filipino Style Recipe: Pansit Habhab is a popular noodle dish in Lucban, Quezon Province. This is commonly served on a banana leaf with vinegar then eaten directly to your mouth without using any utensils. 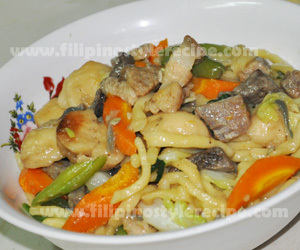 Like other pansit dish, it consist of vegetables and pork liempo. 1. In a frying pan, heat oil then deep fry meat until golden brown and crispy. 2. Drain and let it cool then chopped into serving pieces. Set aside. 1. In a pan, heat oil and stir fry all veggies for 3 minutes or until half-done. Set aside. 2. In a same pan, saute garlic and onion. 3. Add fried meat, water, soy sauce, salt and pepper. Bring to boil. 4. Add noodles then cook until it has absorbs the liquid and tender. 5. Add vegetables then cook until done. 6. Turn off the heat and transfer into banana leaves then serve with vinegar. Filipino Style Recipe: Pansit bihon canton guisado is a popular noodle dish that is consists of a mixed of rice noodles and flour noodles. This dish was originated from Chinese and become very popular in Filipino cuisine. 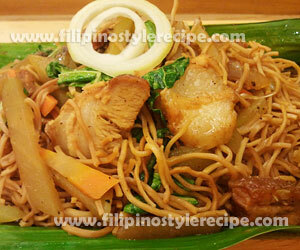 Pansit bihon canton guisado is similar to other pansit dish that is commonly served in different occasions. 1. In a big bowl with water, soak bihon and canton noodles until soft. Drain and set aside. 1. In a wok, saute the garlic and onions. 2. Add pork and liver, then cooked until color turns to brown. 3. Add broth, soy sauce, and bouillon cube then simmer for 3 minutes. 4. Add vegetables and the remaining ingredients then season with salt and pepper. Simmer for 5 minutes or until half cooked. 5. Remove and set aside all the ingredients except for the liquid. (Make sure the liquid is enough for the noodles to cook and absorb). 6. Add bihon and canton noodles then toss until the the liquid absorb. 7. Put back all the ingredients then cooked 2 minutes. Mix well. 8. Adjust seasoning according to taste then remove from heat. Serve hot with calamansi. Filipino Style Recipe: Seafood pansit bihon guisado is another variety of popular Filipino dish consists of cornstarch noodles(bihon). The bihon is usually soak and cook together with squid, shrimp, mussels and vegetables in broth and soy sauce. 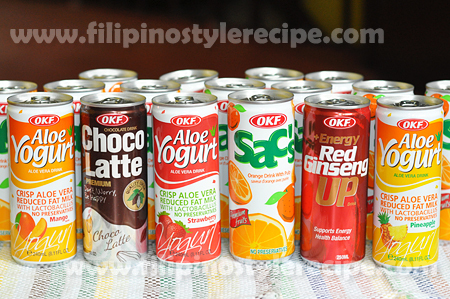 This is commonly serve in any occasions or in mid-afternoon snacks. I highly recommend HOBE Special Bihon, it is made from the finest-milled cornstarch yet maintaining the taste and quality of the bihon. 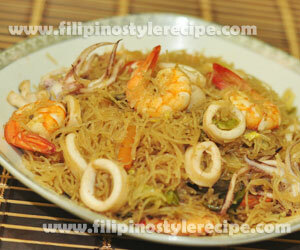 The firmness and smoothness of bihon make it ideal for this recipe. HOBE Special Bihon is available in leading supermarkets and grocery stores. 1. In a big bowl with water, soak noodles for 10 minutes or until soft. Drain and set aside. 1. In a large wok, heat oil then stir fry fish balls until color turns to light brown. Remove and set aside. 2. In a same wok, saute garlic and onions then add shrimp, mussels and squid. Saute until shrimp color turns to pink. Remove and set aside. 3. In a same work, pour broth, soy sauce, salt and pepper then simmer for 3 minutes. 4. Add vegetables then simmer for 5 minutes or until half cooked. Remove and set aside except for the liquid. 5. Add soaked noodles then toss until the liquid absorb. (Make sure the liquid is enough for the noodles to cook and absorb). 6. Put back all the ingredients then cooked 2 minutes. Mix well. 7. Adjust seasoning according to taste then remove from heat. 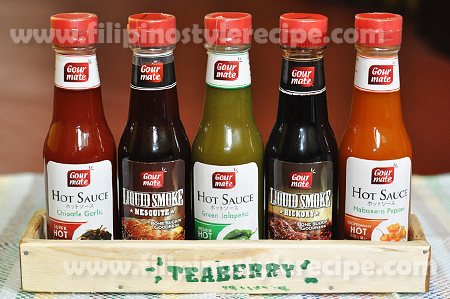 Serve hot with calamansi. 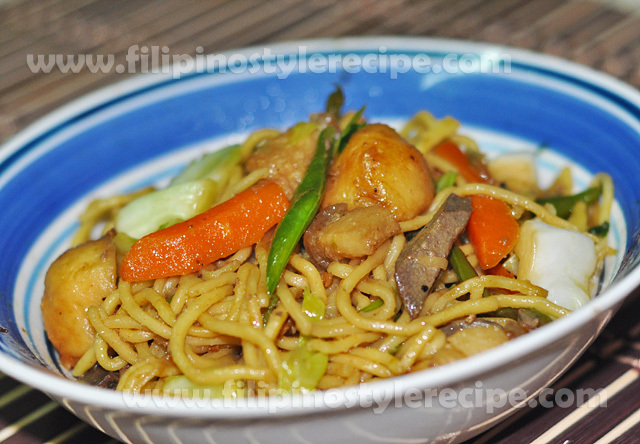 Filipino Style Recipe: pansit luglug is another popular noodle dish in the Philippines. 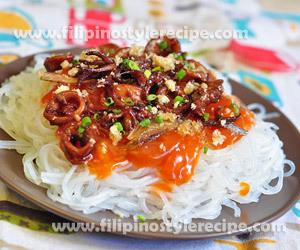 This is similar to pansit palabok but luglug used a thick rice noodles. The sauce is consists of shrimp juice, annatto water, flour and fish sauce. Topped with tinapa flakes, sliced hard-boiled eggs, shrimps, squids and chicharon. 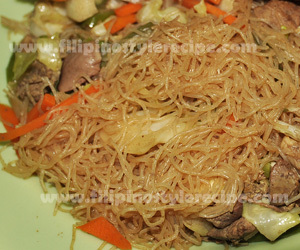 Pansit is usually served during breakfast or even meryenda(mid-afternoon snack) and commonly sold along the streets. 1. In a sauce pan, heat oil saute garlic and onion then add pork. Cook until brown. 2. Pour water, annatto water, shrimp cube and dissolved flour. Continue stirring until thicken. 1. In a big bowl with water, soak noodles for at least 30 minutes. Drain and set aside. 2. Boil water in a pot. Place the soaked noodles in a strainer then dip in the boiling water. 3. Cook for 5 minutes or until firm and tender. Drain and transfer to a serving bowl. 1. Pour the sauce on top then arrange toppings over the sauce. 2. Sprinkle with ground chicharon, tinapa flakes and spring onions then topped with hard boiled egg. 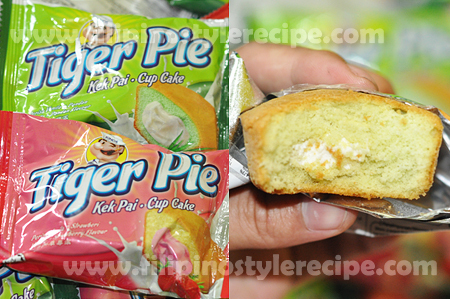 Serve with calamansi. Filipino Style Recipe: pansit bihon guisado is a noodle dish originate from Chinese that has become very popular in Filipino cuisine. Pansit bihon consists of rice noodles(bihon) mixed with pork, chicken and different vegetables. This dish is commonly served in different occasions. 6. Add bihon then toss until the the liquid absorb. 6. Adjust seasoning according to taste then remove from heat. Serve hot with calamansi. 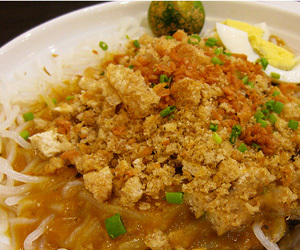 Filipino Style Recipe: Pansit Palabok is another popular noodle dish in the Philippines. The usual pansit palabok is made of pansit bihon with palabok sauce consists of shrimp juice, annatto water, flour and fish sauce. Topped with tinapa flakes, sliced hard-boiled eggs, shrimps, squids and chicharon. 2. Pour water, annato water, shrimp cube and dissolved flour. Continue stirring until thicken. 1. In a big bowl with water, soak noodles for 5 minutes. Drain and set aside. 3. Cook for 5 minutes or until firm and tender. Drain and transfer to a serving plate.